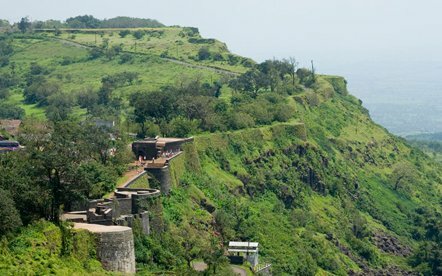 This imposing fort, 20km northwest of Kolhapur, is built on an outlying spur of the Sahyadris, rising more than 400m above plain. 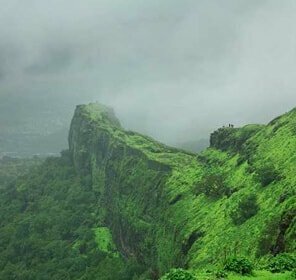 The strategic importance of Panhala, guarding one of the principal routes through the Western Ghat, can be judged from its long and varied history. After serving as the headquarter of the Shilahara ruler Bhoja II (1178-1209), the site subsequently passed into hands of Yadavas. It was favorite outpost of the Bahamanis of Bidar ; Mahmud Gawan, the powerful Prime Minister, encamped here during the rainy season of 1469. By the beginning of the 16c Panhala was absorbed into the kingdom of Bijapur.The Adil Shahis were responsible for strengthening and rebuilding the ramparts and Gateways.The fort was raided by Shivaji in 1659, but it was not until 1673 that he was able to occupy it permanently. In 1701 Panhala surrendered to Auragzeb, and it was here that the Mughal Emperor recieved the English Ambassador, Sir WilliamNorris. 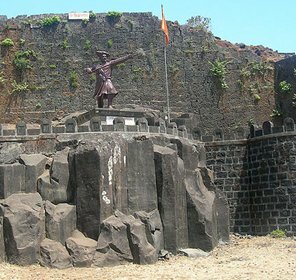 Within a few months the fort was retaken by the the Maratha forces under Pant Amatya Ramachandra, who asserted his autonomy by founding an independent dynasty.In1782 these rulers shifted their headquarters to Kolhapur. After a local rebellion in 1844, Panhala was taken by the British. More than 7km of Fortifications define the approximently triangular zone of Panhala fort. The walls are protected for long sections by steep escarpments, reinforced by a parapet with slit holes. The remaining sections have 5-9m high ramparts, strengthened by round bastions. Unfortunately, the East Gate called Char Darawaja, through which the road passes on arrival at fort, was demolished by the British. Sajja Kothi is a major attraction at Panhala is the that was built by the Mohammedans in 1008 AD. There is a very interesting anecdote attached to this monument. 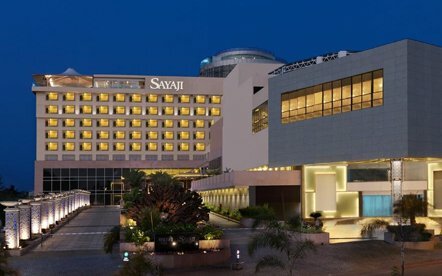 It is said that when Siddi Johar, a formidable Bijapur General, attacked Panhala, Shivaji tricked the general by escaping from the window of Sajja Kothi. The Someshwar tank of Panhala too is worth visiting. The tank came into existence due to the quarrying of stones that were required for the construction of the fort wall. There is a very well camouflaged well with a three-storied structure on top, Andhar Bav. The Nayakini Sajja at Panhala manifests the intelligent warfare strategy used by the Marathas to dupe the enemies. The Nayakini Sajja has been very strategically located near one of the corners of the fort to conceal a deep ravine in between. 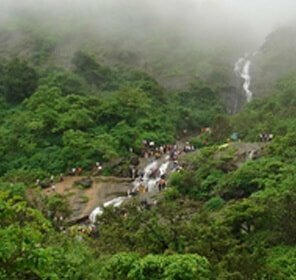 There are number of Hotels & Tourist Guest house at Panhala.The tariff at the hotels in Panhala varies budget to middle class that according to the tourist season. The airport closest to Panhala is the airport at Kolhapur airport at a distance of 35 km from Panhala. 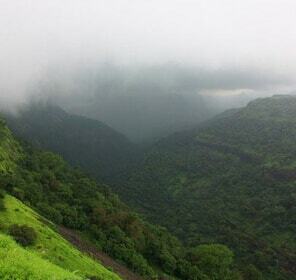 Panhala is 416 km from Mumbai and about 200 km from Pune. The closest railhead to reach Panhala is Kolhapur railway station. State Transport buses ply between Kolhapur and Panhala every 2 hours during the day. The Kolhapur railway station is only 26 km from Panhala.